We are a full service pet facility. Providing pet boarding for dogs, cats and pockets. Dog and Cat grooming, Dog obedience training, clicker training. Flushing's finest dog park. Animal burial and cremation services. For the safety of our customers and pets, we are now requiring all of our canine visitors visiting the facility for any service to be vaccinated for the Canine Influenza Virus. Please consult your veterinarian for the Canine Influenza Vaccine. At Key-Lore Kanine Kustom Klips we take great pride in pampering pets. Our goal is to make your pet fresh and new with every groom. We offer special grooming packages and services for your desired look. We use only the best shampoo’s and products and NEVER* use tranquilizers. Special needs pets and those with behavioral concerns can be evaluated and helped with rehabilitative grooming procedures and schedules. 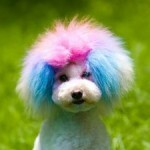 **All prices based on size, breed and temperament, please contact our groomer for quotes for your pet. Event calendar, discounts and newsletters.